Description: Panacea Floral Ties can be used in place of chenille wires, floral twine and paddle wire. 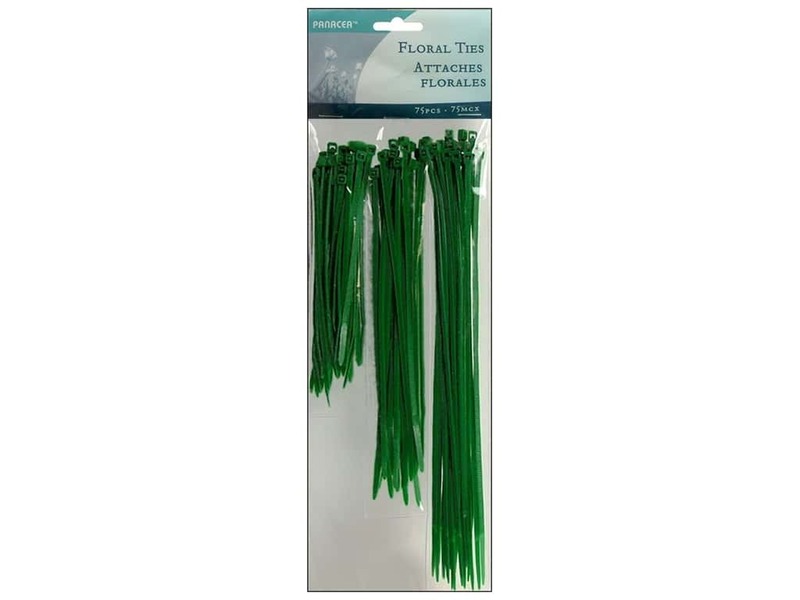 They are quick and easy to use and are great to use for hand-tie bouquets, hanging garland and much more. Includes: 20 - 8 x 3/32 inch, 20 - 5 1/2 x 3/32 inch, and 35 - 3 3/4 x 3/32 inch. 75 pc. Green. See more Panacea Floral Supplies.